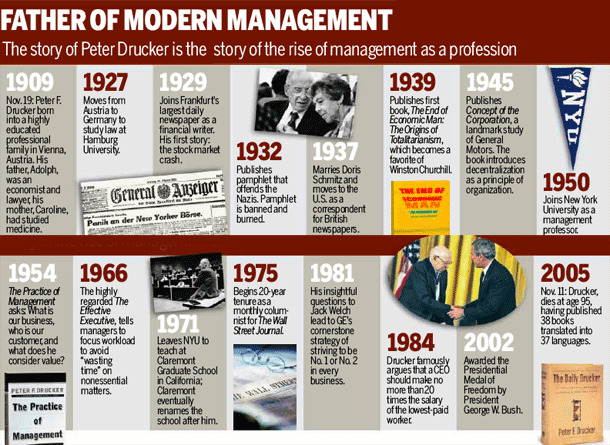 Peter Drucker is by far the most important management thinker of the 20th century. Even in 2010, his thinking and guidance is highly effective and has lost little of its lustre and value. Drucker formulated five "Most Important" questions to ask an organization. Each of them have subquestions which result. It is the answering of the questions together as a team which builds not only consensus but a shared understanding of what needs to be done. * What is our Mission? * Who is our Customer? * What does our Customer Value? * What are our Results? * What is our Plan? What are the significant external or internal challenges, opportunities, and issues? Does our mission need to be revisited? Should we add or delete some customers? What Does The Primary Customer Value? What Do Supporting Customers Value? 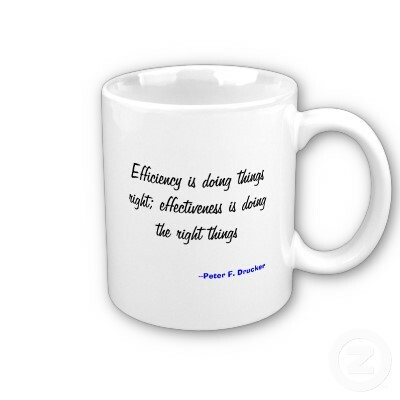 How do we define results for our organization? To what extent have we achieved these results? What have we learned, and what do we recommend? What, if anything, should we do differently? What is our plan to achieve results for the organization? What is my plan to achieve results for my group or responsibility area?